One of the few Gary Player–designed golf courses in Asia, and the only one in Thailand, Lotus Valley Golf Resort has a unique look and feel as well as a progressive thinking management team and Board of Directors. 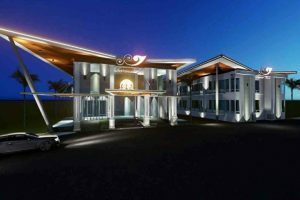 They have plans to upgrade their championship golf facility with the addition of a modern, purpose-built hotel complex. Consistently featuring in the Asian Golf Awards as Best Value Golf Experience this pedigree course has even more ambition. 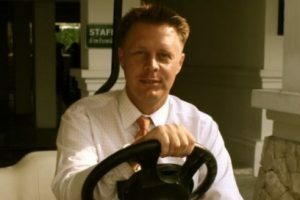 Golfasian talks to General Manager Derek Schade who recently returned to Lotus Valley having completed his contract with Chiang Mai Highlands. Golfasian You return to Lotus Valley after a 2 year absence, what lured you back? Derek I thoroughly enjoyed my time at Highlands, but the opportunity to spearhead Lotus Resort’s development wasn’t something I could turn down. Both the Owners and Directors are very innovative in their thinking and open to ideas from the whole Team. This is a very collaborative Project and I’m delighted to be a part of it. Derek Gary Player’s original design was reinvigorated about 6 years ago by Jon Morrow and Turf Pro Golf’s Craig Bertram, keeping the original routing but enhanced by Bertram’s re-shaping of the green complexes. Notwithstanding, Lotus Valley remains at heart a Gary Player design. It is a golf course which is challenging, strategic and visually stunning. Most of all, it is great fun to play. Thus we offer a thoroughly modern, world-class layout and thinking-man’s golf challenge. On the playing side I am therefore focusing on outstanding year-round conditioning and maintaining our high standards. Another area for improvement has been addressing Lotus Valley’s relatively remote location, lying as it does an hour plus from the centre of Bangkok. The vast majority of Members come from local manufacturing facilities, located in this rural area due to Government measures that encouraged foreign investment, particularly targeting the Japanese. There has been an acknowledgement that a significant slice of the wider golfing market needed exploiting to permit further expansion. Two steps have been taken to address this shortcoming. First, the establishment of a Lotus Valley sales presence in Bangkok’s Ekamai which will act as a transport hub providing a shuttle to the course. Additionally, there are plans for an adjoining small hotel allowing golfing guests to enjoy a Bangkok shopping day prior to their golf. Complementing this and key to its success, we have recently broken ground on a purpose-built boutique hotel at the Resort itself with design features aimed to meet the needs of discerning golfers such as bespoke club storage, plus onsite massage facilities and a swimming pool to treat those minor aches and pains post your golf. Once complete, we will present to the market a total quality experience with one of the best golf courses in the country, excellent practice facilities, a five star clubhouse with food and beverage to match and on-site accommodation of the highest calibre. All this in value-for-money packages for which the Resort is renowned. It’s exciting to work with a Board of Directors who are so forward thinking. Any ideas seen to be a benefit to guests are accepted no matter who suggests them. There is a wealth of experience in our Board Meetings since the Directors come from a variety of professionally run businesses; it’s refreshing and I’m learning a lot. Golfasian Having not played Lotus Valley for some time you’ve got us excited about all the plans. We wish you all the best with your new role and the successful completion of the club’s expansion project which will no doubt further enhance what is already a top Thailand venue. Golfasian looks looks forward to sending clients for Stay & Play! Thank you for talking to us.